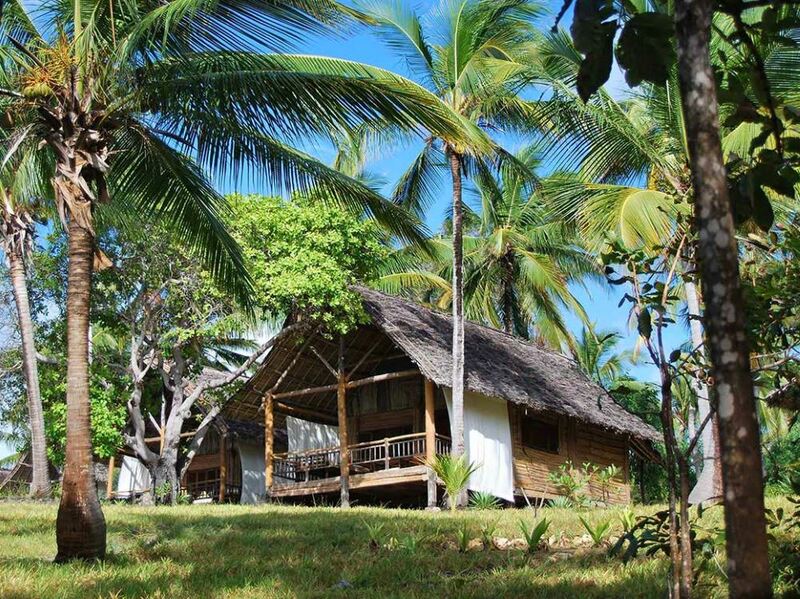 Relax with the sundowner hand-delivered to your bungalow as you watch the nightly arrival of the giant fruit bats from nearby Chole Island as they fly overhead the lodge on their way to feed on the fruit plantations on Mafia! Mafia isn't the easiest place to get to - then again that's half the fun! 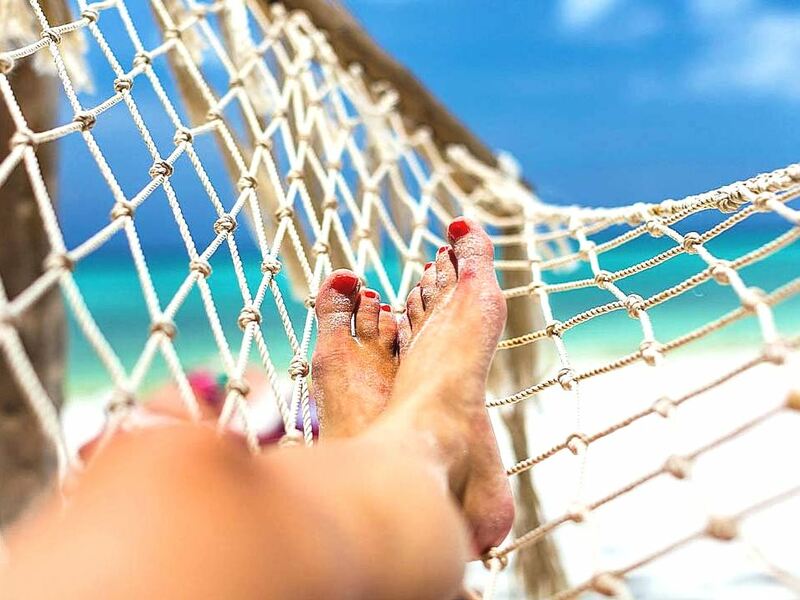 As we’ve said before Mafia Island is the perfect place to retreat when you really want to get away from it all and relax in an atmosphere of blissful seclusion – and if that’s your aim then it’s hard to imagine a better place than Pole Pole. This tiny little lodge consists of just 7 stylish bungalows overlooking a small beach area, a lovely little duara (a little thatched shelter just above the beach perfect for quietly contemplating the view), a small massage deck where we enjoyed a full body massage, an unobtrusive swimming pool as well as a wonderfully intimate bar and lounge area. And that’s it – no games room, TV room or even music in the bar! And funnily enough, after the very ornate furnishings and stylizing of many of the other lodges, it was this very simplicity - in a superbly stylish way mind you - that made Pole Pole so appealing to us. It’s all sumptuous dark wood floors, decks and window shutters – offset beautifully by crisp whites and creams. The lodge staff are wonderfully friendly and the service outstanding. Before dinner have a chat at the bar with fellow guests or the friendly lodge management. 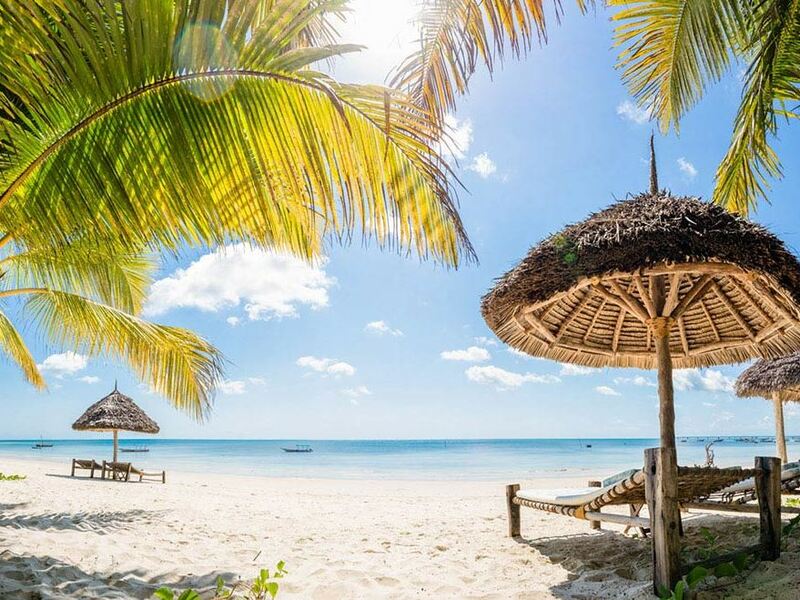 It’s also the perfect opportunity to plan your next day’s scuba diving or snorkelling (Chole Bay is home to some of the finest unbleached coral reefs in the Indian Ocean! 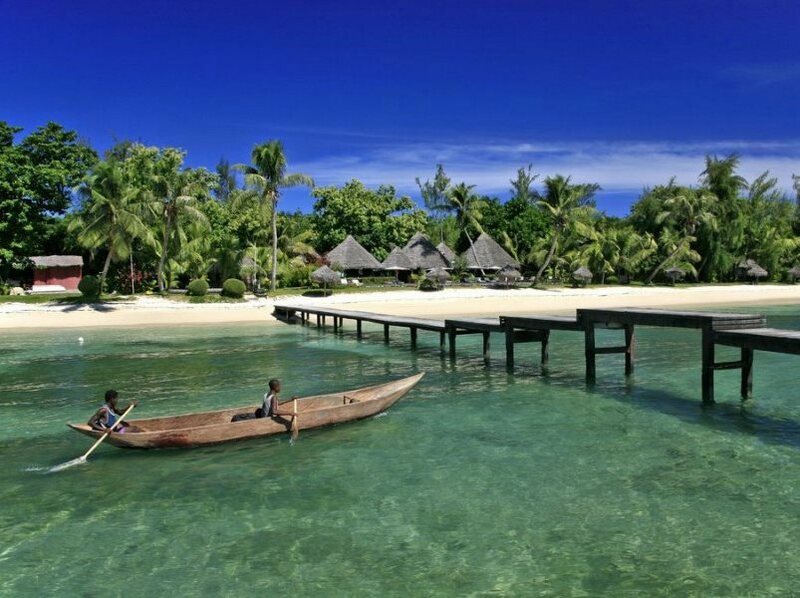 ), an excursion to the ruins and fascinating village on Chole Island, or perhaps a picnic on a blindingly white sandbank perfect for sun tanning and swimming in the crystal clear and warm cobalt blue waters. And the good news is that a daily dhow cruise into Chole Bay to go swimming or snorkelling is included in the rates! One of the things we loved about Pole Pole was the way a waiter arrived at 6PM every evening to take your drinks order – 5 minutes later you’re enjoying sundowners on your deck and watching the nightly arrival of the giant fruit bats from Chole Island across the bay as they come across to Mafia to feed. After that it’s a short stroll down to the bar area for a companiable drink with your fellow guests before dinner. The bar itself is like the rest of the lodge – intimate and stylish, with dark wood floors and very interesting and attractive walls formed from rough wooden sticks placed in a pattern of contrasting squares. 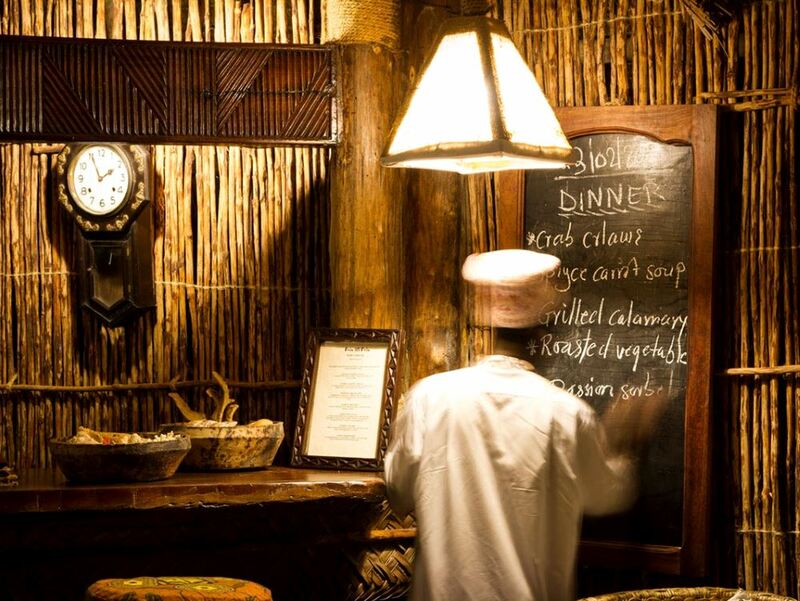 Pole Pole means “slowly, slowly” in Swahili, and this really does capture the whole essence of the lodge perfectly. Take the diving or snorkelling for example – instead of zooming off in a speed boat to your dive spot (Mafia offers some of the best diving anywhere in the world by the way), you’ll venture out instead on a traditional dhow with at least one of the legs of your journey under sail power.